Established ins 2005, now a global brand with professional lash treatments for everyone, that last from one night to up to eight weeks. Whether you want to enhance your natural eyelashes with revolutionary LVL Enhance treatment, create a custom Express look for a special occasion, or Extend with the ultimate in individual extensions, there is the perfect solution to make your dream lashes a reality. To guarantee the best results every time, they lead the way in professional salon standards and Training. From the moment you step our Nouveau Lashes Accredited Salon, through to your lash treatment and aftercare, you can be confident your eyelashes are in the best possible hands. Before our lash technicians receive our seal of approval, they all undergo an Elite Training Programme to develop their skills and techniques ensuring they can deliver the best results possible for you. 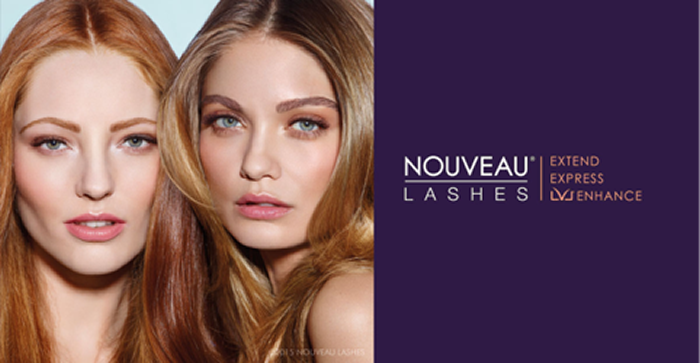 So whenever you see the Nouveau Lashes name, you can be confident you are using the best in the beauty industry. And because they understand that everyone is unique, they offer a range of different eyelash treatments - Extend, Express and LVL Enhance. With results ranging from one day to eight weeks, each treatment can be tailored to each individual’s lifestyle and desired look. So whatever your vision of the dream lash may be, there is a Nouveau Lashes treatment to make it a reality.